The summer of matte is here and we are going all in with new Matte Acrylics. So, what makes these different than our normal Glossy Acrylics that you know and love? 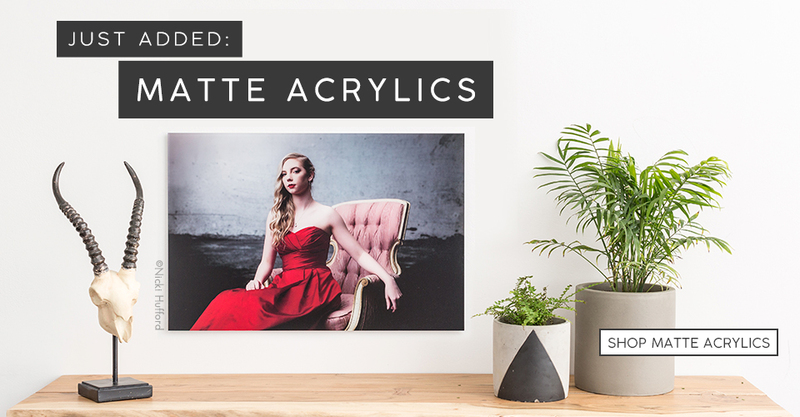 Matte Acrylics feature a thin surface coating that diffuses light to reduce glare resulting in a beautiful matte finish to your images.